When a brand new TV show airs it's pilot episode, producers don't know if the show is going to ever get picked up so they don't go wasting tons of money building sets etc. Sometimes the pilot of a show can be filmed months or even years before or (if ever) it gets picked up. This is why a lot of the time TV show pilots are filmed at real locations to cut cost/risk. Then if the show gets picked up they build studio sets based loosely on what you seen in the pilot episode. By doing this the studio cuts on location filming cost and also gives the producers more control with lighting etc, they can film at any time in any weather and it will still look like sunny Newport Beach via fancy stage lights and film color editing. 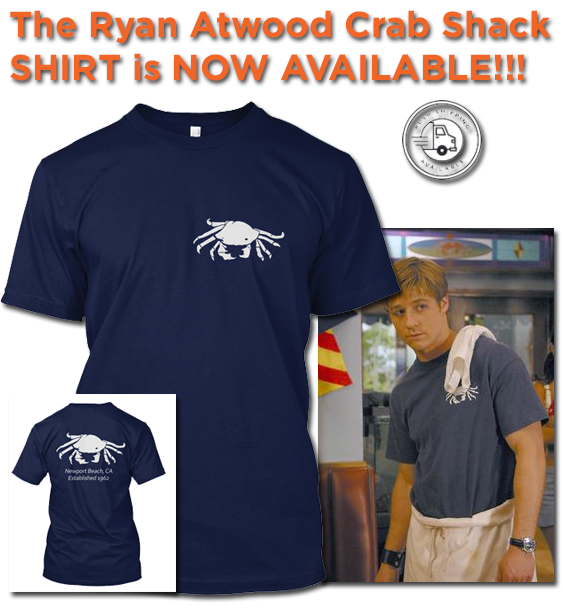 As you may know, The O.C. pilot filmed at three homes, all of which are actual homes located on the same street in a private Malibu subdivision. The exterior shots that we see in every episode of the Cohen house come from the 6205 Ocean Breeze Dr..This includes various night shots, the house in various weather conditions, Cohen cars pulling up, Cohen cars pulling out etc..On the other hand the house in which we never see the front of is 6210 Ocean Breeze Dr. This is the house that inspired the interiors we see in the pilot episode. It was the inspiration for the interior and backyard of the Cohen home, mainly the kitchen, Seth's room and backyard pool area. So when you sandwich the exterior look of 6205 and the interior of 6210 together makes the Cohen house. So during the pilot episode of The O.C. not a whole lot of the 6210 pilot house was shown. We got to see Ryan's temporary pool-house, the kitchen, the front door area, Seth's room and a few vague living room backgrounds and that's about it. 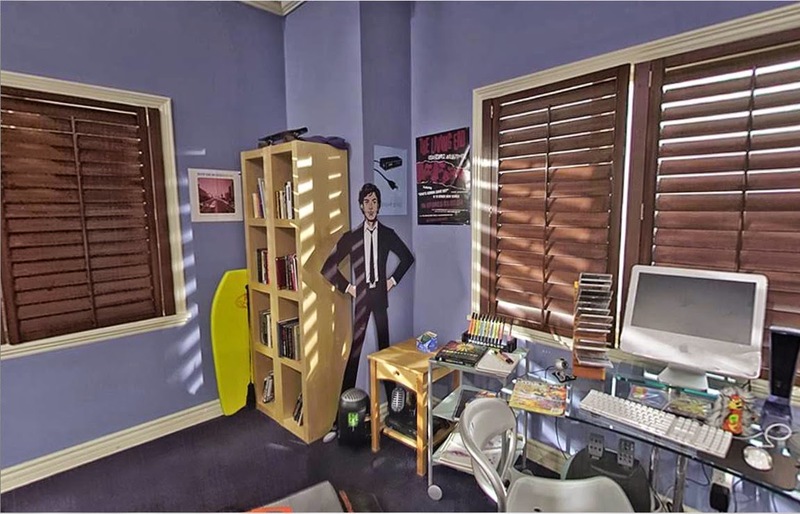 Due to showing only small parts of the real house, this had to make it easier on the set designers when it came to filling in the gaps of the Cohen house, virtually getting to make the rest up as they went. 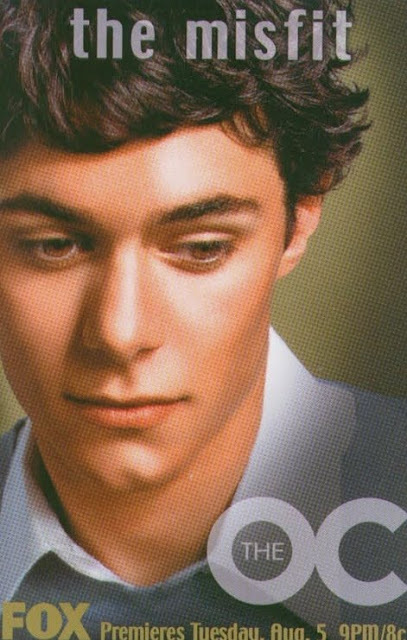 So now that we covered the back story lets now explore the pilot Seth Cohen room in part 1. I did some digging and stumbled upon the real-estate photos of 6210 which included a bunch of interior and exterior shots. 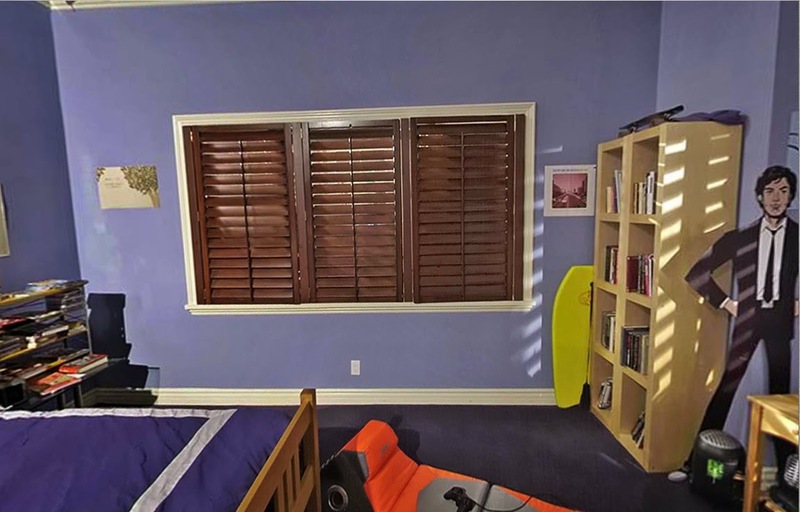 As I was looking through them I noticed a girls room that resembled the same shape and size as Seth Cohen's room in the pilot. The walls seem to be identical as well as window size, the crown molding carpeting etc. The real-estate photo's was taken several years after the pilot so I imagine they took down the blinds seen in the pilot sometime during those years but its pretty obvious match. Below is Seth's room as seen in the pilot episode painted and redressed as a girls room several years later, so wrong I know! 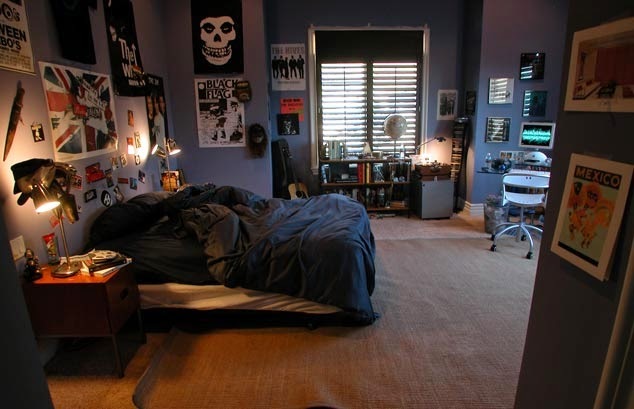 As we see Seth's room in the second episode we actually see the Seth room built in the studio which is pretty loosely based off of the room we see in the pilot. The second Seth room features a more square shape without the fancy window alcoves etc. Lets be honest, there is a ton of differences but among them - If you look closely between the pilot and the first episode you will notice the arrangement of furniture and posters change. It's funny looking back at the pilot, that episode thought that Seth would be the type of guy to not only listen to Static X and Nirvana (okay maybe Nirvana) but also hang posters proudly..Indie loving Seth is "smiling like he means it" about this right now (obscure Killers jab). Seth getting his map of Tahiti for Ryan in the second episode (see the Static X poster and Nirvana poster towards the left side of the room. Rare shot of the studio set, scroll up and see the differences between he pilot and this. So there we have it, proof that they didn't think we'd notice the differences! I find this kind of stuff fascinating and now you too are aware of it! Its interesting how a certain character is portrayed in the beginning of a story and how their house props etc change as the story and their character's age or define. Stay tune for part 2 The Pool house!